Within Nordic Council of Ministers project w.a.s.t.e. 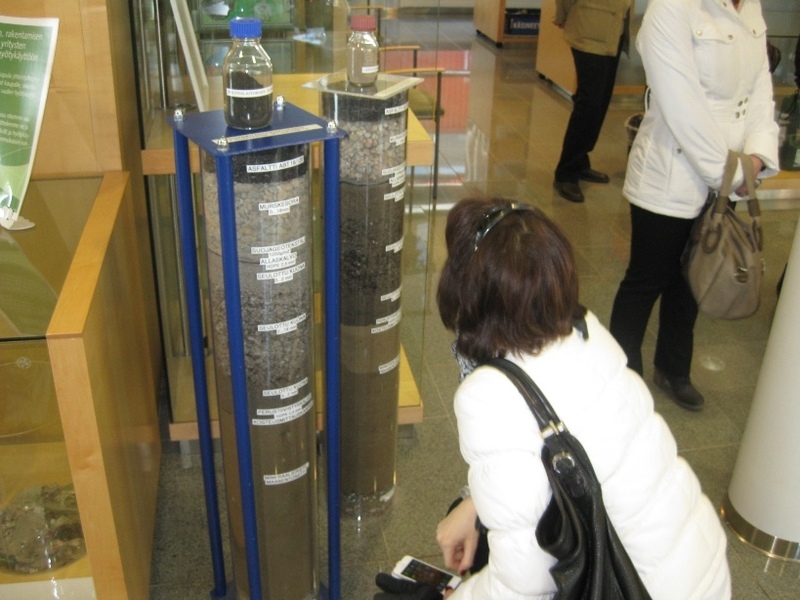 (Waste Awareness: Sorting, Treatment, Education) a study tour for representatives of Petrozavodsk and Apatity to Finland and Norway was organized on the theme of management of hazardous waste from 7 to 12 April 2013. The group included representatives of Petrozavodsk businesses, dealing with hazardous waste (LLC "Mercury", LLC "Nature Protection Center"), municipal enterprise "Avtospetstrans" Administrations of Petrozavodsk and Apatity (total of 9 participants). Purpose of study visit was learning approaches towards management of hazardous waste in Northern Europe. The program included visits to two large companies in FInland. The first - a company AkkuSer Oy, located in the town of Nivala off the coast of the Gulf of Bothnia in Finland is the only enterprise in the country processing batteries, including batteries of mobile phones. It annually processes about 3 million tons of batteries not only from Finland but also from Europe and the world. During the visit, the participants were able to see the processing technology and also learn about the principles of collection and recycling of batteries in Finland. The second major company - EKOKEM - is Europe's largest plant for the processing of a wide range of hazardous waste, serving customers in 40 countries. The factory is located in Riihimäki, near Helsinki, dealing with treatment and disposal of hazardous waste. Non-recyclable components are burned or disposed at the landfill, which was built with the latest technologies with the possibility of a future disposal of buried waste upon appearance of the necessary know-how. During a visit to Norway, the participants got acquainted with two factories for sorting of hazardous waste. Isi company serves one of the suburbs of Oslo. Recently the company went through major modernization. Participants were demonstrated areas of collection and sorting of all types of waste, including hazardous waste. Roofed terminals, receiving waste produced by the population, are built on the top of the old landfill, which has been preserved and now produces methane, used for heating the facilities and office premises. Roaf company is also located in the suburbs of Oslo. In addition to sorting station with a separate collection point for hazardous waste from residents, there is also a polygon (here goes approx. 1% of the total waste produced), facility for overload of waste for incineration, site for the production of compost. The company also uses methane produced by the conserved landfill. Special attention is paid by the Norwegian companies to raising awareness among residents - specially equipped classrooms offer visual materials, lessons are organized for school students from 4th grade, few times a year newsletters are distributed to the residents by regular mail.